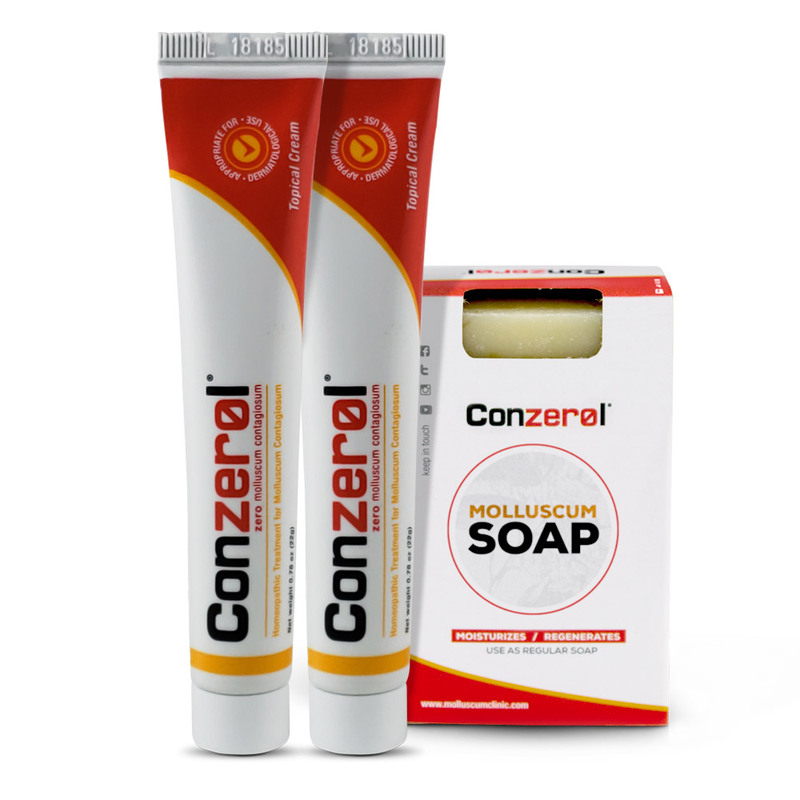 This soap is a product of Conzerol extensive research in the fight against Molluscum. 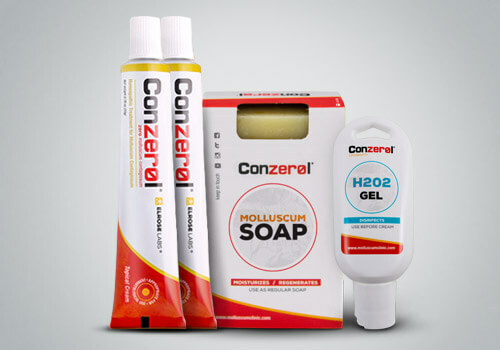 We have found that a signifigant number of our customers with molluscum have eczema. 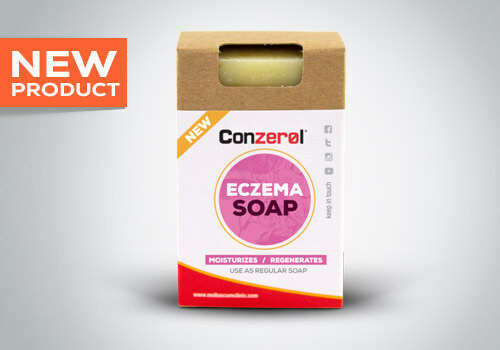 The ingredients in this soap have proven to help ease the symptoms of eczema and in some cases stop them all together. 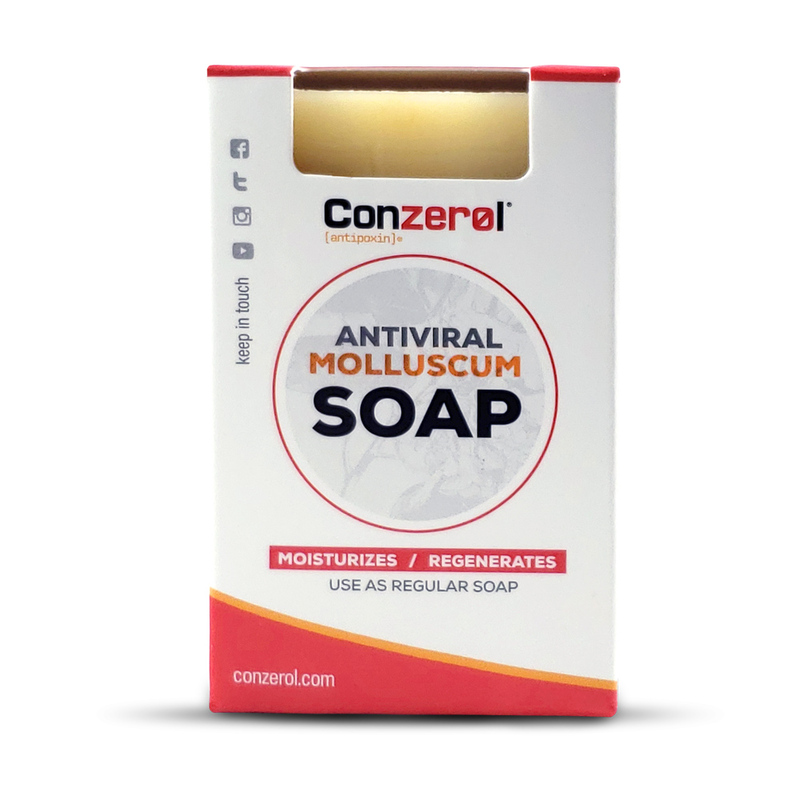 This soap is safe to use while treating molluscum as it is non abrasive.